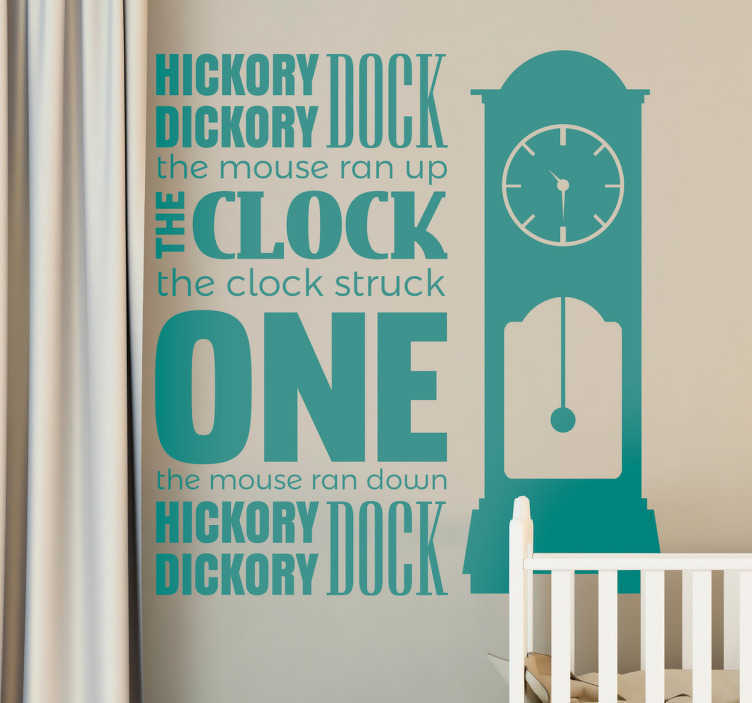 If you're looking for a fun and creative nursery rhyme decorative wall sticker for your children's bedroom, this Hickory Dockory Dock one is ideal! Featuring an illustration of a grandfather clock and the words to this classic nursery rhyme. This vinyl is as easy to apply as it is to remove and leaves absolutely no residue upon removal! A high-quality anti-bubble sticker is available in a wide variety of different sizes!